A favorite psalm of many believers, one of mine too, is Psalm 91. I would encourage you to read it often, take it as God’s personal promise to you, even memorize it if you can. When we are in need of some hope, encouragement, and comfort, this is one psalm we should read and read again. I refer to it often and likewise use it when I visit the sick or those going through a hard trial. As I was reading it again yesterday morning, one particular verse seemed to stand apart from the rest and drew my attention. 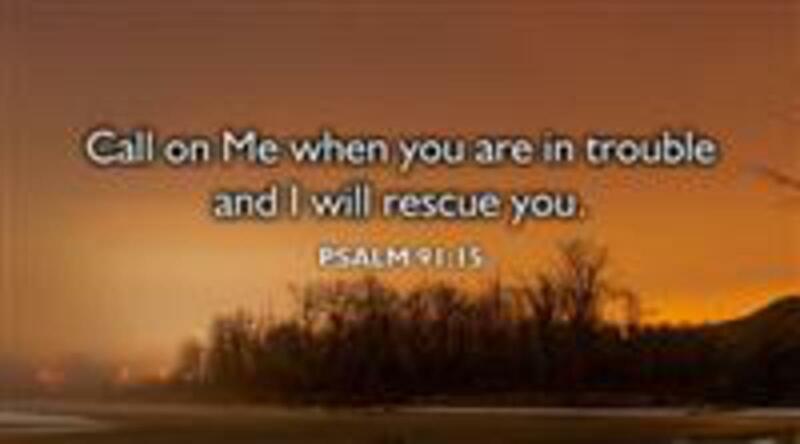 Referring to all who love and trust Him, God said: “When they call on me, I will answer; I will be with them in trouble. I will rescue them and honor them.” (Psalm 91:15 NLT) Perhaps that verse jumped out of the page because I had just called and texted some people I know and none of them responded. I’m aware that I’ve written on this topic before and I pray I won’t bore you again with it, but I feel this issue has more importance than the one people attribute to it. I also understand we can’t be as faithful and punctual as God, but if He answers immediately when we call Him, we can at least acknowledge our calls and respond as soon as we can. I suppose many of you know some folks who don’t do a very good job of answering their calls, texts, or emails. You are aware, while they may not be, that those who are trying to reach them can get upset, angry, frustrated, or even discouraged because their calls go unanswered. And, no, I am not referring to calls made by telemarketers or unknown sources; I am talking about those from friends and family. The way we respond is just one more way of conveying to others what type of people we are. One of our church members of the past, who I also had on my mind when I wrote Wednesday’s blog, left this testimony behind when she went to live in Heaven: I would take her regularly to her medical appointments and there was never a time when I drove up to her house when she was not waiting by the door. That was just one more thing that endeared me to her, and was a refreshing change from many of the experiences I had had before with others. I plan to remind and thank her for it when I see her again. With her too, perhaps I miss her even more today because her family members also disappeared when she left us. What will you be known for after you leave this earth?